The deal for Gilad Shalit has prompted concerns there will be more kidnappings. A7 remembers the Nachshon Wachsman story. Senior Hamas leader Khalil al-Hayya said Friday that Israel's deal to trade 1,027 terrorist for captive IDF soldier Gilad Shalit proves kidnapping is a winning tactic for the movement. 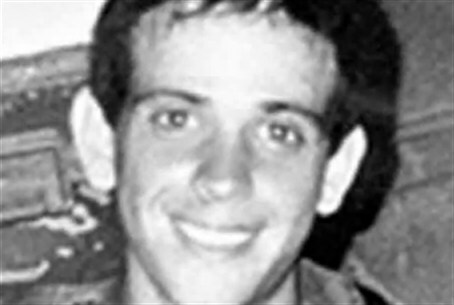 As Israel celebrates the imminent return of Gilad Shalit, Arutz Sheva would like to remind its readers of a previous kidnapping of an Israeli soldier that ended in tragedy. Nachshon Wachsman was born on April 3, 1975 in Jerusalem to Esther and Yehudah Wachsman. The third of seven boys known as a true optimist, always smiling, helpful, and supporting his family and friends, Wachsman volunteered for service as an elite commando with the Orev group in Golani. On Saturday, 8 October 1994, while home on leave with his family after one year's service, Wachsman was called by someone saying the army needed him to attend a one day course in the north the following day. Wachsman, who left to ride north with a friend that night, never arrived for training. By late evening on October 9 Wachsman's parents notified the police. By Monday, October 10, a nation-wide search for Wachsman was underway, but in vain. At 7 p.m. Hamas called the Wachsman family telling Yehudah "We are the Hamas. We have your son. He is alive." An hour later a tape was given to the media showing Nachshon being held hostage by Hamas terrorists who demanded the release of their spiritual leader Yassin as well and of 200 other imprisoned Hamas terrorists by Friday - on pain of Wachsman's murder. Prime Minister Yitzchak Rabin found Wachsman's life in his hands. He did not release terrorists to free Wachsman. Instead, he ordered the IDF to mount a rescue attempt. The IDF learned Wachsman was being held in Bir Nabbalah, a village under Israeli control, only ten minutes away from his Ramot, Jerusalen home, after having captured the driver of the car that had picked him up. Shin Bet (ISA) officers subsequently identified the exact house where Wachsman was being held. Seren Nir Poraz, 23, who was about to finish his 5 years with the IDF's elite Sayaret Matkal commando unit, was tapped to lead the rescue mission. Hastily and not well prepared, the rescue of Nachshon Wachsman ended in tragedy. Striking as darkness fell, Poraz's unit attached explosive charges to the door of the house to effect entry. The explosives proved too weak to take down the door, giving the terrorists time to act. As the commandoes planted their second charges, they heard the terrorists shoot and kill Nachshon. Nir, leading his team in, ran in the house first and was also killed. Nir never met Nachshon Wachsman, but gave up his own life in the attempt to rescue him from Hamas kidnappers. On that night Israel lost two of its noble sons. Not only families who have lost their loved ones to terrorists who are to be freed, but many parents who have children serving in the IDF, or have lost children in the service of the nation, feel trading terrorists for captured soldiers is not an option. Nor, they note, do all rescue operations end in failure. Operation Thunderbolt, known for its audacity and high-level of risk, saw the successful release of 95 hostages from Entebbe in 1976, refusing the kidnappers' demands to release 57 prisoners. While the nation mourned the loss of Yonatan Netanyahu in the Entebbe raid, it was he himself who insisted in going into harms way to rescue his countrymen. However, "If there had been a... viable military operation we would have chosen it," Shin Bet chief Yoram Cohen said of the Shalit deal on Friday. With Hamas promising more kidnappings in the wake of the Shalit deal, there is the possibility that more Netanyahus, Porazs, and Wachsmans are on Israel's horizon.